All of our products, services & analysis are produced and carried out in strict accordance with our Quality Policy & Quality Assurance Procedures Manuals which comply with applicable Australian Standards & the relevant State regulations. 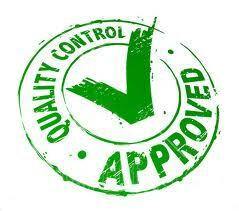 Our Quality Management System was designed to ensure that we meet or exceed the needs of our customers. Our Senior Management are committed to monitor, control, improve quality and not ignore problem areas uncovered in our audits. Many of our customers have a Quality Management System in place & require us to have a Quality Management System in place & produce superior operational performance. Our internal process improvements have produced externally observable improvements, such as customer satisfaction, work processes, interdepartmental communications and supplier customer partnerships. Our Quality Policy is understood & followed at all levels & by all our employees. All of our employees have measurable objectives to work toward. Decisions about our quality system are made based on recorded data and the system is regularly audited & evaluated for conformance and effectiveness. Our records show how & where raw materials and products were processed to allow products and problems to be traced to the source. Our company is commited to quality management & determining our customer requirements and creating systems for communicating with our customers about our product information, inquires, contracts, orders, feedback and complaints. When we develop new products & services, we plan the stages of development and carry out indepentent testing at each stage. We test & document whether the product meets our design requirements, regulatory requirements and our customers’ needs. We regularly review our performance through our internal audits & meetings. 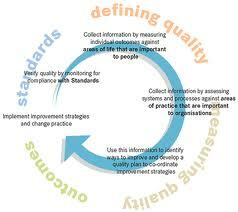 We regularly determine whether our quality system is working effectively and what improvements need to be made. We deal with past problems & potential problems. We keep records of these activities & the resulting decisions, and monitor their effectiveness. We have a documented procedure for internal audits. Water Management Australia Pty Ltd has documented procedures for dealing with actual & potential nonconformances involving suppliers or customers and internal issues. We ensure that none of our customers use non conforming products. We have procedures in place to deal with non conforming product & the root cause of the non conforming product to improve our system.